This has got to be one of the quickest recipes I've come across. Its taken me longer to write up this post than to make this fresh salsa. If you haven't realized by now, I really like my tortilla chips and nachos. You might remember my homemade version from here. Even though tortilla chips are easily available all over the place here in Australia, I somehow still prefer the homemade version. For this post, you'll see a store bought option pictured. I just need a little time to whip up a homemade batch, it is so much better; tastier and you know exactly whats in it. But today we're here to talk not about the chips, but this really yummy salsa dip. A while ago, I'd picked up a jar from the local supermarket, that claimed to be 'Hot'. I love spicy stuff, so I thought this would really hit the spot. What I love about Mexican food is the spice from the chillies and peppers and the tang from the lemon and tomatoes. Much to my disappointment, this store bought salsa was neither 'Hot' nor tangy. I knew I had to figure out a way to get my hands on something better. 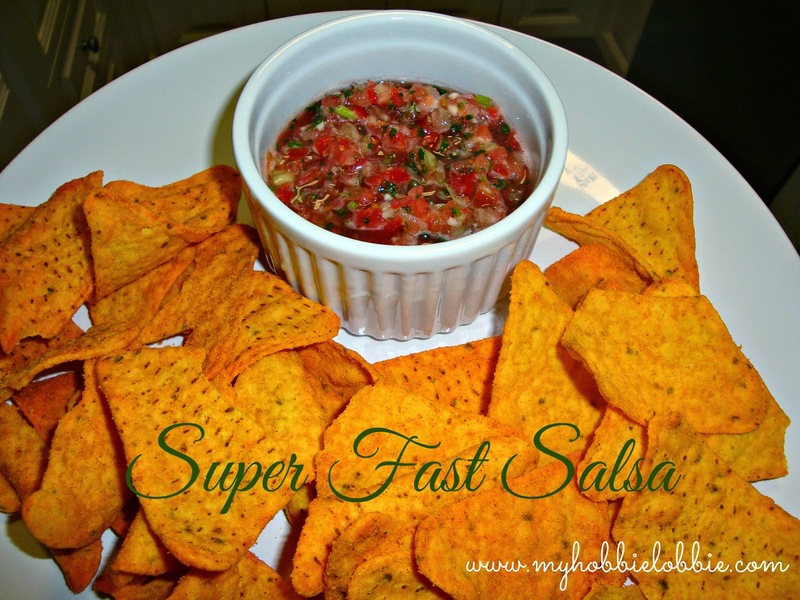 So when I came across this recipe for a blender version of Salsa, I decided to try it out. It was too quick and easy a recipe to pass up. And am I glad I tried this out. The salsa was fresh, packed full of flavor, you can easily adjust the spice levels to your liking. It was everything a good salsa should be. I sure hope you try it out. The picture doesn't do it much justice. It was fairly late in the evening when it was taken. I hope to get a better picture up sometime soon. Place all the ingredients in the food processor. Pulse till it reaches the consistency you like and is combined. Adjust the salt and lime if needed.